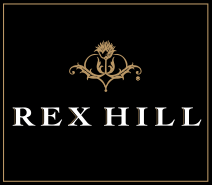 Join us for Chef in My Garden 2018, a series of extraordinary dinners created by Portland’s top chefs with outstanding Oregon wineries. The dinners are hosted in stunning private gardens, all to benefit the local nonprofit Growing Gardens. 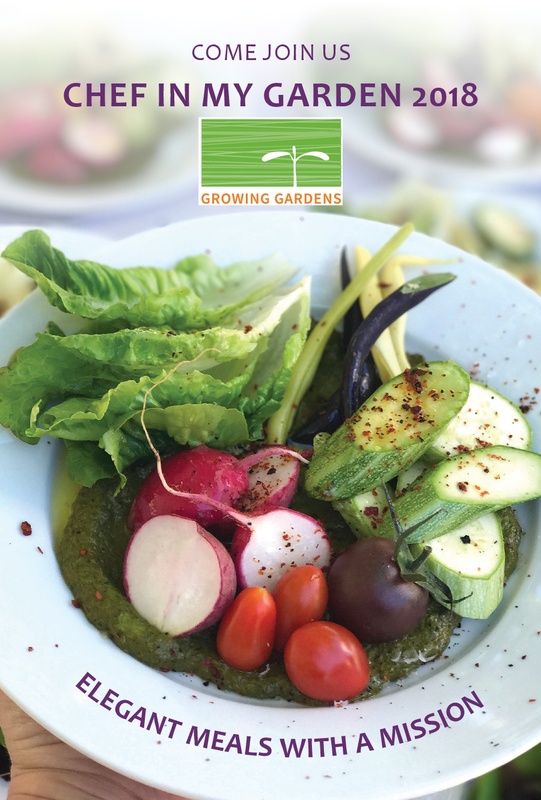 Growing Gardens uses the experience of growing food in schools, backyards and correctional facilities to cultivate healthy, equitable communities. Our work promotes better health, self-reliance and stronger communities across the state of Oregon. You will be given an opportunity to showcase your support during a fundraising appeal. What a wonderful way to spend a sunny, summer afternoon, enjoying an unforgettable experience to support an amazing organization. 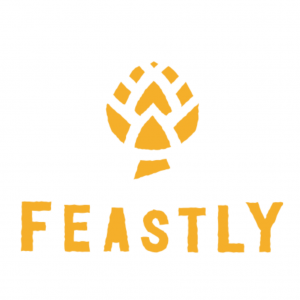 Elegant Meals with a Mission! 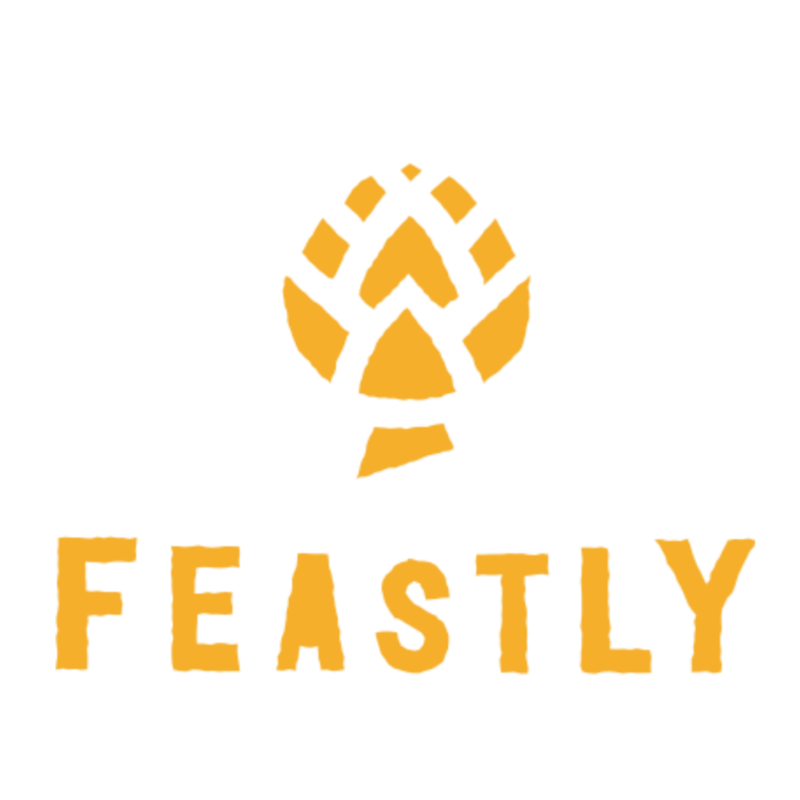 Scroll down to learn more about each dinner and purchase tickets through Feastly. You’d never expect this size of impressive gardens located within the Portland city limits. This garden unfolds with each step further into the space. Celine Fitzmaurice and Larry Olson’s Mt. Tabor garden, where Japanese influence meets English garden in an edible landscape, full of plants with an eye toward four season color. Tour Larry’s studio and immerse yourself in the intimate landscapes of his signature photographs. With perfect balance we paired this spectacular garden with Executive Chef Kei Ohdera who brings a formidable background in fine dining to Farm Spirit. A native of Ichikawa, Japan, he also spent part of his childhood in Mauritania, Africa, where one of his earliest childhood memories was scooping up handfuls of couscous around a communal table. The youngest of three boys and son of two busy working parents, he was doing much of the cooking in the household by age twelve. After attending CIA in New York, he worked at Nihonryori RyuGin in Tokyo and Blue Hill at Stone Barns, both named on The World’s 50 Best Restaurants. Ready for a new challenge, he followed his brother’s move to Portland in 2016, and soon began working at Aviary. Enticed by a farm-focused approach to fine dining and the spirit of the communal table from his childhood, he teamed up with Farm Spirit owner Aaron Adams later that year. Today, his biggest thrill is fostering the relationships he’s built with local farmers who continue to challenge his creativity with the new and undiscovered varieties of Pacific Northwest produce. Located in the Southwest hills of Portland, the home of Susan Denman will surely delight with its exquisite garden and the historical charm of her home. In this lovely garden, you will enjoy delicious dishes created by Chef Kasey Mills. 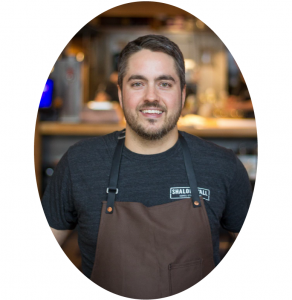 Kasey moved to Portland, Oregon in 2001 to attend culinary school and immediately began working six days a week while taking classes, working his way up the ranks at well-regarded restaurants in the area. When he heard John Gorham was planning to open a new Spanish restaurant, he introduced himself and was offered the job of Sous Chef of Toro Bravo. 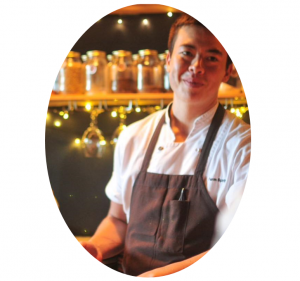 He worked directly under Gorham for three years before being promoted Chef de Cuisine. 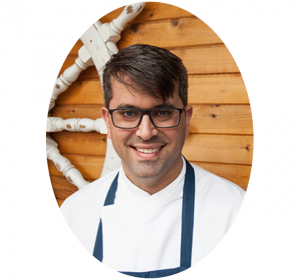 Inspired by the way a region’s cuisine tells a story of its peoples’ interactions and exchanges over time, Kasey Mills aims to bring the rich cultural history of the eastern Mediterranean to the Pacific Northwest. His menus of diverse yet cohesive dishes at Mediterranean Exploration Company and Shalom Y’all pay tribute to the exploration of people across the Mediterranean throughout h istory. Thank you to our generous dinner sponsor, Garden Fever! In the lovely and spacious Sauvie Island gardens of Linda Wisner and Chet Orloff, you’ll venture from the central courtyard to wander along shady paths, through sunny Mediterranean plantings and herb gardens, into bountiful vegetable gardens, and enjoy food from one of Portland’s top chefs, Bonnie Morales of Kachka. Kachka opened in 2014 and is devoted to the food that Bonnie grew up with, inspired by Russia and former Soviet republics. 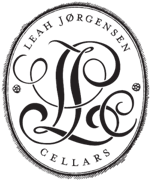 Shortly after opening it was named Willamette Week’s Restaurant of the Year and has also been included in Eater National’s Best Restaurants in America, and has been featured in other publications including Bon Appétit, The Wall Street Journal, The New York Times, and Food & Wine. There’s so much to explore in Meredith and DA Hilderbrand’s gardens — an impressive collection of local and international sculptures, fun topiary, and winding paths through evergreens and gorgeous shade gardens. Growing Garden’s staff believe this is where fairies live, making this the perfect place to experience the magic of James Beard nominee Trent Pierce, the Executive Chef and Owner of Roe Restaurant. Trent is a fifth-generation Pacific Northwest restaurateur serving set menus of New American seafood. For him, the art of cooking is an all-encompassing passion, reflected in his always evolving menus. His creative use of high-end seafood ingredients results in focused plates that keep their flavors pure. Tige and Peggy Harris’s Cornelius garden features a gorgeous English country-style perennial border. The 1880’s farmhouse and original barn are surrounded by fruit trees and a large vegetable garden, while Suffolk sheep and thoroughbred horses keep the pastures trimmed. 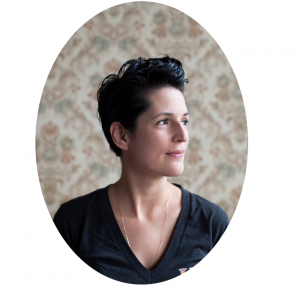 This makes for a classic setting for Maya Lovelace’s Mae that channels her grandmother’s southern Appalachian cooking and hospitality through Maya’s culinary training and the bounty of the Pacific Northwest. Portland Monthly says she’s created a “must-eat Portland experience” and named Mae one of its best new restaurants of 2016. 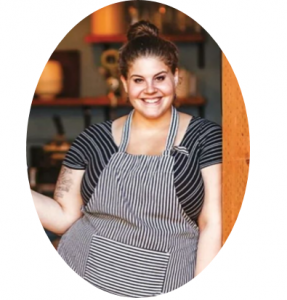 Lovelace was also a 2017 semifinalist for the James Beard Rising Star Chef of the Year and will be soon opening Yonder, which will specialize in her delicious fried chicken and beyond the bird, a rotating menu of mains including fried catfish, vegetarian-friendly cornmeal-fried oyster mushrooms and a ton of different sides, some permanent, some seasonal, including biscuits, mac and cheese and collard greens. Thank you to our generous dinner sponsor, Bob’s Red Mill. Michael and Maryellen McCulloch’s home is on the hills overlooking Portland, and her property designed to connect to the community and go with the flow of wildlife in the area. The house is a true gem, a midcentury Modern designed by Pietro Belluschi, an Italian architect and a leader of the Modern Movement in architecture who began his career as a draftsman right here in Portland. The surrounding property was a pastoral 40 acres, where the former owners were sheep farmers, and the herd grazed just yards from the back door. Each area of the garden has its own character, though colors and textures are echoed for cohesiveness, and no element was placed without intention. As the centerpiece and anchor for the landscape, a terrace with a swimming pool, and a clean-lined pool house made of local Port Orford cedar. To highlight the architecture of the house, the entry is low-key and simple; behind the house, as a stroll garden heads for the pool terrace, the colors intensify and the plant list increases. To keep this space wildlife friendly, they have a fenceless property with a variety of seeds, berries, and nectar for critters to enjoy. “It’s about making a place feel like home, emotionally and physically. 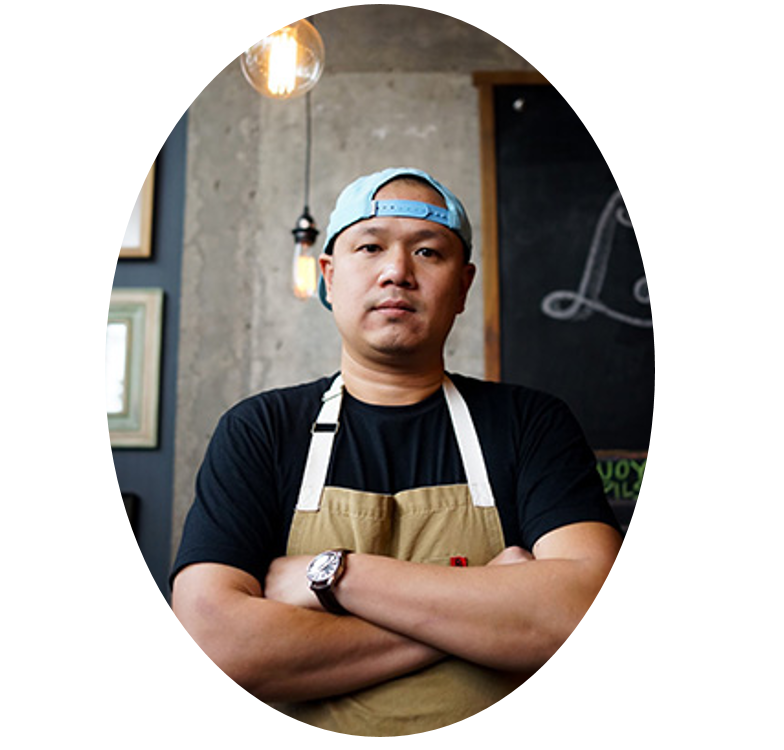 It’s about ‘feeding’ humans with a healthy environment.” Born and raised in Bangkok, Thailand, Earl Ninsom grew up cooking at an early age. During summer breaks, his family took him to visit a grandparent in Suratthani where he learned to cook Southern Thai food using a small charcoal stove. Visits to another grandmother in Lopburi Province introduced him to a delicious old-school Central Thai-style cooking. Thank you to our generous dinner sponsor, Ring Bender. Our Chef In My Garden dinners include a special meal, prepared by a special chef, for a special night. Modifications politely declined. 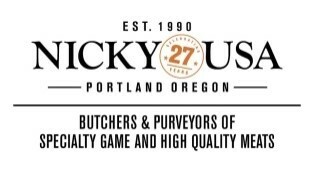 Thanks to Premier Sponsors Nicky USA for providing meat, Bull Run Distilling Company for providing spirits, The Jasmine Pearl Tea Company for providing tea service, Portland Roasting Coffee for providing coffee service, and Fishpeople Seafood for providing seafood. Tickets are $175 each. The fair market value of each dinner is $125. All Chef in My Garden fundraising dinner events begin at 4 pm and typically last until around 8:30 pm. You are encouraged to arrive as close to 4 pm as possible to enjoy the gardens.